Did you know there are dozens and sometimes hundreds of chemicals in your perfume that aren’t required to be listed on the bottle? Did you know perfumes disrupt your hormones which could lead to reproductive issues? Because of these issues I stopped wearing perfume a few years ago and have made the switch to a more natural and healthy approach, with doTERRA’s Whisper Blend! And guess what?!? 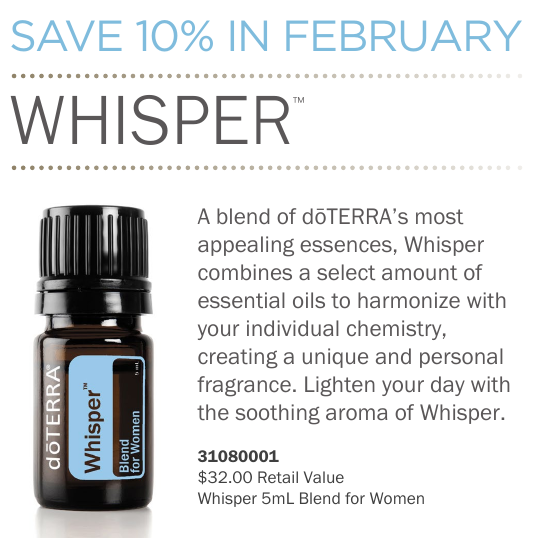 This month this amazing blend is 10% off!